NEW YORK CITY: Confessed Killer Of Gay Man Calls Transgender Woman He Dated As Character Witness - Joe.My.God. A killer who shot a man on a Manhattan street after hurling gay epithets has a longtime transsexual lover who insists the defendant is no bigot. 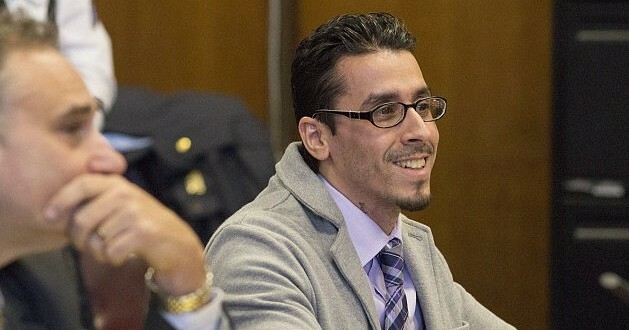 Elliot Morales, acting as his own lawyer for the hate-crime slaying of gay stranger Mark Carson, called as his first witness a former flame whom he’d met online. The 38-year-old transsexual woman, using the pseudonym Jane Smith, testified from behind a curtain in Manhattan Supreme Court that she and Morales, 36, had a physical relationship on and off for 10 years. Morales maintains that he was too drunk to have formed the intent to kill and therefore the murder was not a hate crime. He faces life in prison. VIDEO: Last week jurors saw Morales’ disturbing taped confession, which was recorded moments after his arrest.